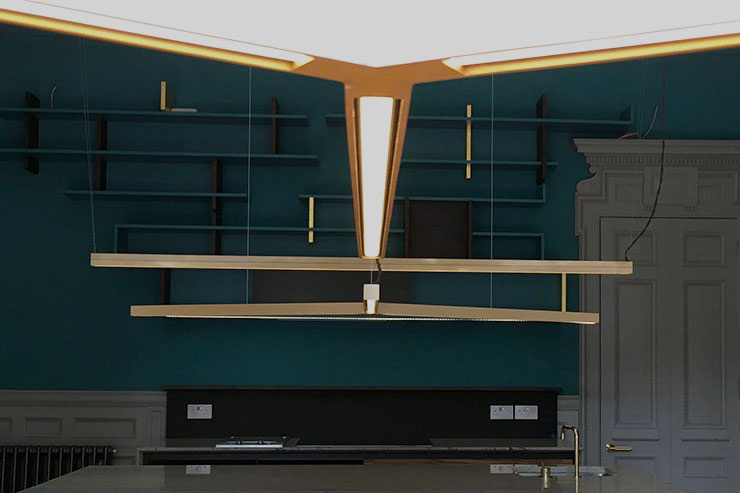 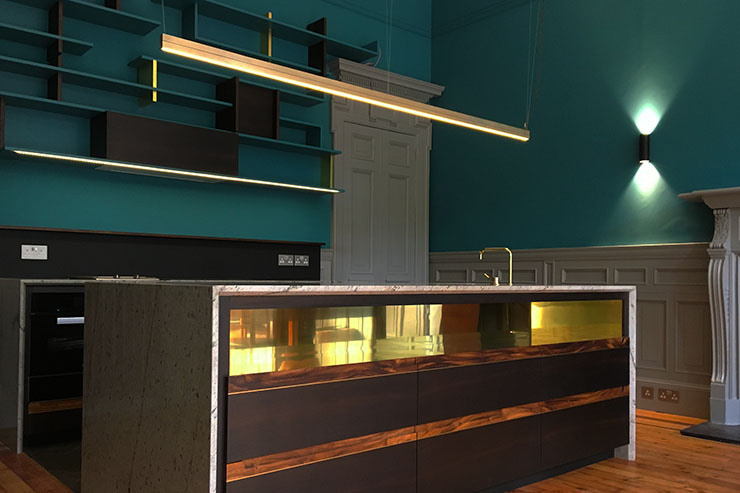 Bespoke artisan linear brass format design as part of a family style responding to the beautiful Georgian architecture and bespoke kitchen furniture of this private residence. 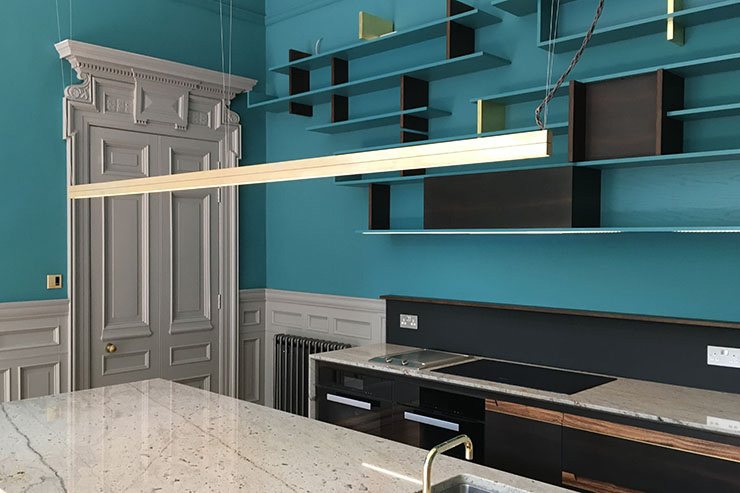 To complement the high-quality materials and colour palette of the bespoke kitchen and interior finish, the 4m high original decorative ceiling demanded discrete unobtrusive suspension points, which allowed a family of pendants to float above the surface below. 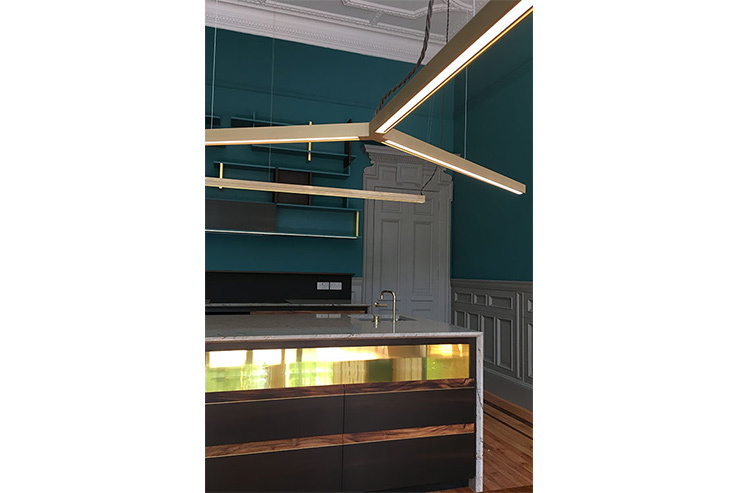 A contemporary designed and handcrafted collection of fixtures with a sharp linear form with softer artisan sandblasted brass finish, the design saw LightMedium work closely with the architect and the open-minded creative client. 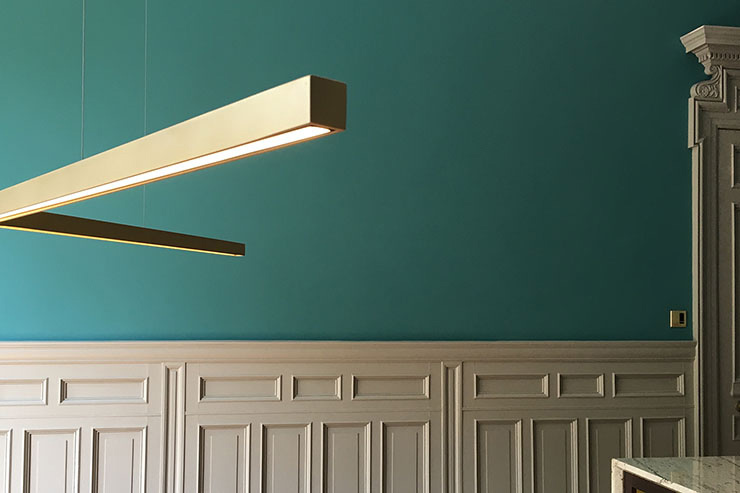 The inner profile of the fixture is presented in a sharp anodised black detail with the diffused opal cover hiding the low energy efficient linear LED, which are a high quality 90+ CRI 9.6W/M 2700K. 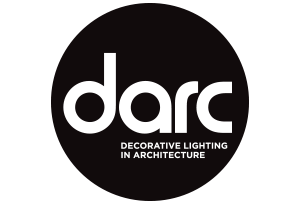 Remote 24VDC DALI drivers are fully dimmable 1-100% controlled remotely via the customer’s iPhone via the Home+ App. 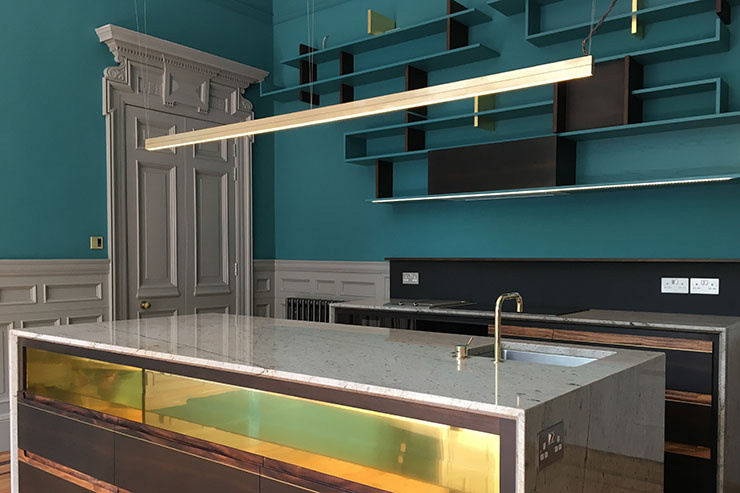 Discrete 0.7mm2 mechanical wire suspension drop the pendants from the high complex Georgian ceiling to appear to float above dining table and kitchen island surface. 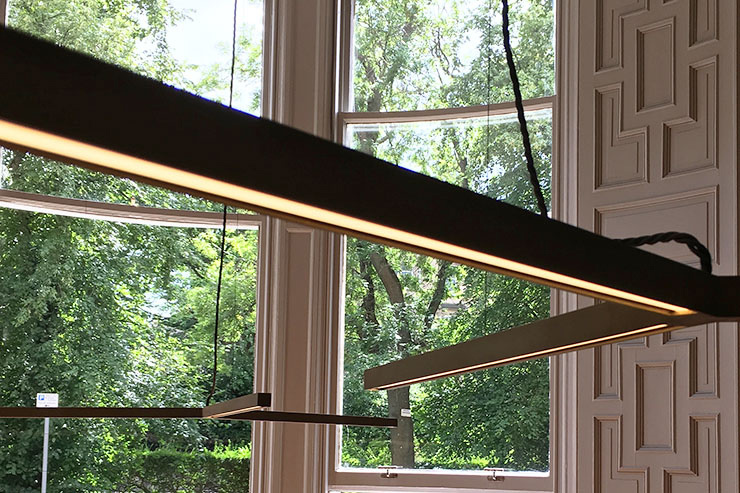 A twisted muted grey cable runs two low voltage 24VDC dimmable zones for up and down light control. 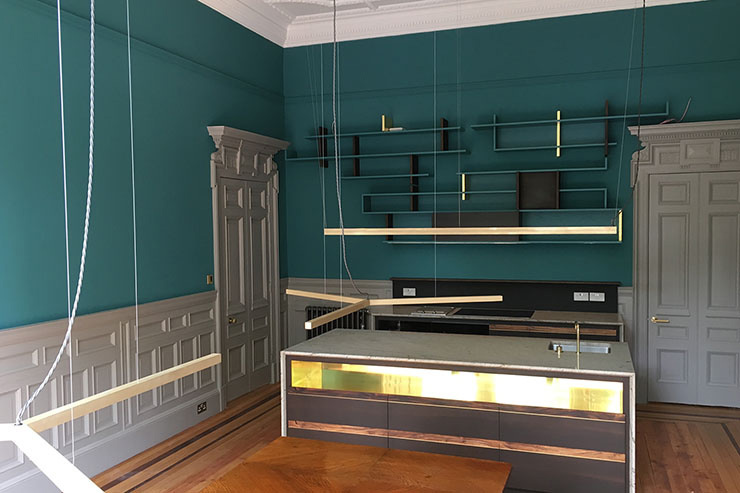 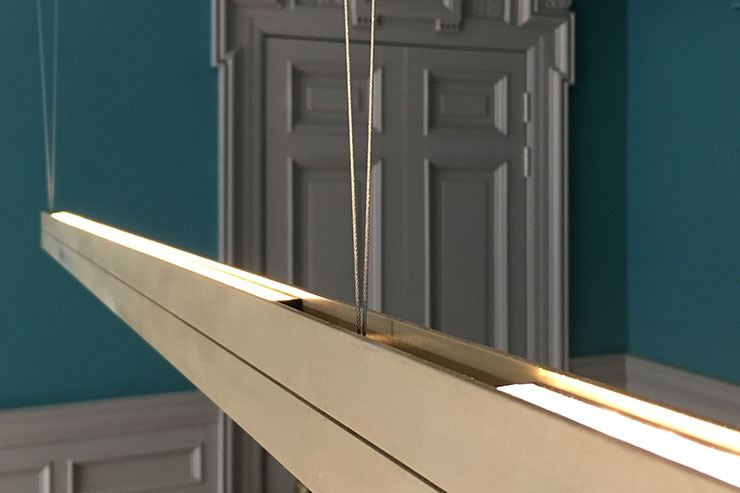 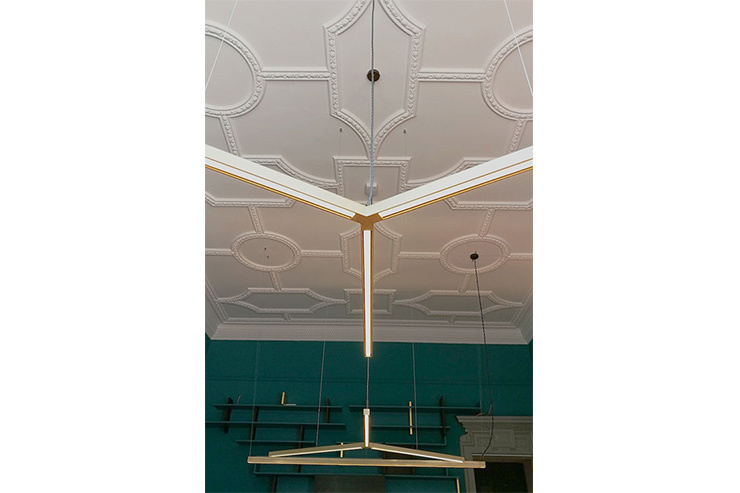 The products were part-manufactured off-site, then modified on site during the installation by Scott Ferrier to suit exacting fixings points and set outs to suit furniture and space.